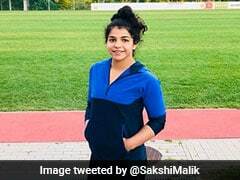 Olympic bronze medallist wrestler Sakshi Malik on Wednesday credited Pro Wrestling League for helping her improve her performance and said that she was waiting eagerly for the second season to be held in December. "My performance was improved after the PWL, especially in the Olympics and other major tournaments. The league has been a blessing for Indian wrestlers," Sakshi said. Sakshi, however, did not participate in the National Championships. 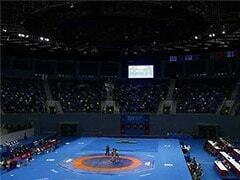 The PWL will be held in eight cities from December 15. Sakshi's fiance Satyawart Kadian, a national champion in men's 97kg category, said PWL gave Indian wrestlers a platform to compete with Olympic Games and World Championships medallists. Sandeep Tomar, a gold medalist in the 57kg category, said experience of PWL was the best for him. He said after taking part in the league, he became a national champion twice and got an opportunity to become Asian champion and Olympian. "The experience of the league helped me reach a milestone," Tomar said in a release. 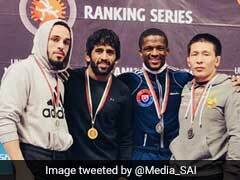 Bajrang, a former World Championships medallist, said, "We have an opportunity to compete with Olympic medallist in the league. This experience will always be memorable. We can correct our weaknesses and the league helps us to become mentally stronger." Mousam Khatri, a former Asian Games bronze medallist, said, "We realised that we can beat anyone in the world. By watching one of the Ukraine wrestlers in the league, I observed that I am not less than him. We learnt from the league that we acn win."